Today’s post is about an elegant style. I am wearing black and white top from SheIn. I combined it with black leather midi skirt, pink long coat and pink high heel pumps. From accessories I chose black sunglasses and black tote bag. What do you think about this look? 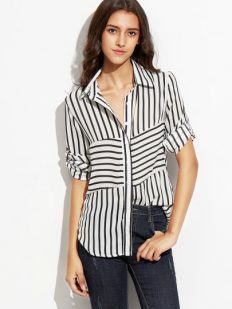 How would you wear this black and white tunic? 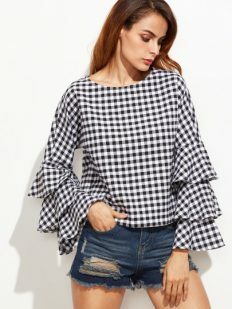 Black gingham cutout high neck billow sleeve top is a great clothing item for the office look. 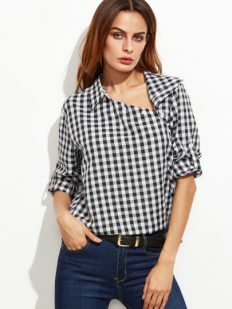 You can wear it with leather skirt, leather pants or if you like more comfy look, you can combine it with jeans also. 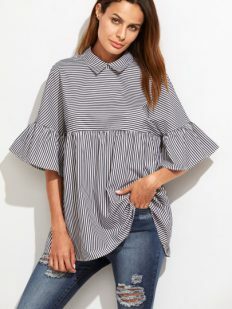 I like the design and cut of this tunic. 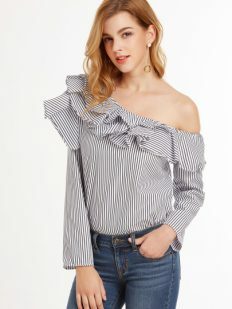 The ruffles on the sleeves are very trendy this year. :) I am wearing the Size XS and it fits perfectly to me. For more details click here. 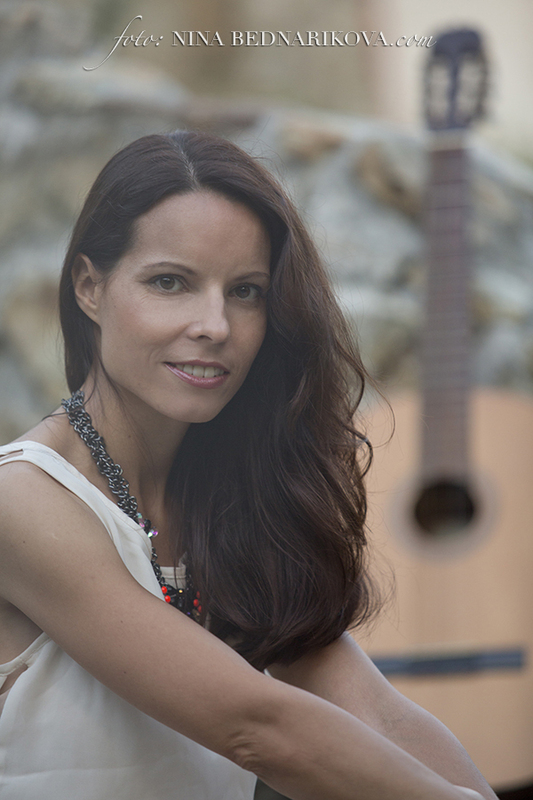 You will find outfit details and shopping links under my photos. 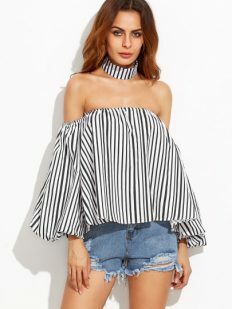 Check out the list of similar tops under my blog post also. love your candy colored coat!